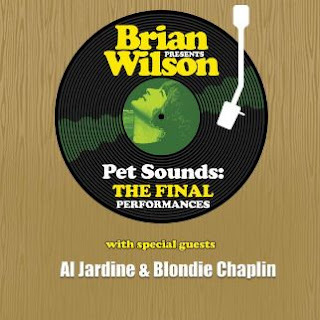 When Brian Wilson announced his tour that would include his final performances of the Beach Boys album Pet Sounds, nobody expected that "final" would be at least two years out. Pet Sounds, which was released in 1966, was the Beach Boys' masterpiece, at least among their albums that saw release (most consider Smile better but it never hit store shelves). Including songs like "Sloop John B", "God Only Knows", "Wouldn't It Be Nice", "I Just Wasn't Made For These Times" and "Don't Talk (Put Your Head on My Shoulder", the full performance of the album was a tour de force for group fans. Throw in over two dozen other hits from the band and the tour became a "don't miss" attraction. The first date for the tour was March 26, 2016 in Auckland, NZ and it wound its way around the world with shows every month during the year. It started again on March 18, 2017 and ended with what was thought to be the final performance on October 14, 2017 in Costa Mesa, CA. Wilson has announced another series of dates starting on May 7 in Washington and, so far, running throughout the month. Tickets for Nashville and Clearwater are already on sale. The rest of the dates go on sale Thursday (December 21) at 10 or 11 AM, depending on the date.